No, it is your habit!. 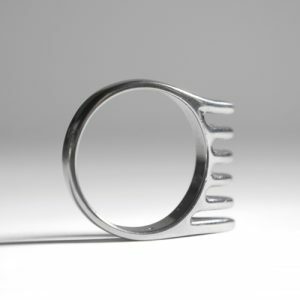 The ring that caresses your beard. 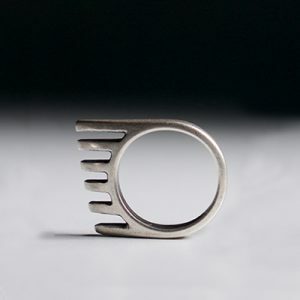 Dear bearded and bristly buddies, girls with gnarled hair and unconscious hair smoothers, from today your combing instinct has a brilliant ally: Vézzo, the detangling ring. In this way you will transform a primordial gesture that is damaging for the hair into a functional movement that will keep the beard, mustache and hair always well looked after while you will be absorbed in your thoughts. That instinctive vice that accompanies expectations, jitters, studies and complacency will turn into a relaxing and disentangling practice. A combing revolution within reach of all hands. A small gesture, all for you. In the modern etiquette, the beardy gentleman combs his beard also when he is not at home, with a discreet gesture of meditation that can be associated to something in between a cuddle and a light thoughtful caress. 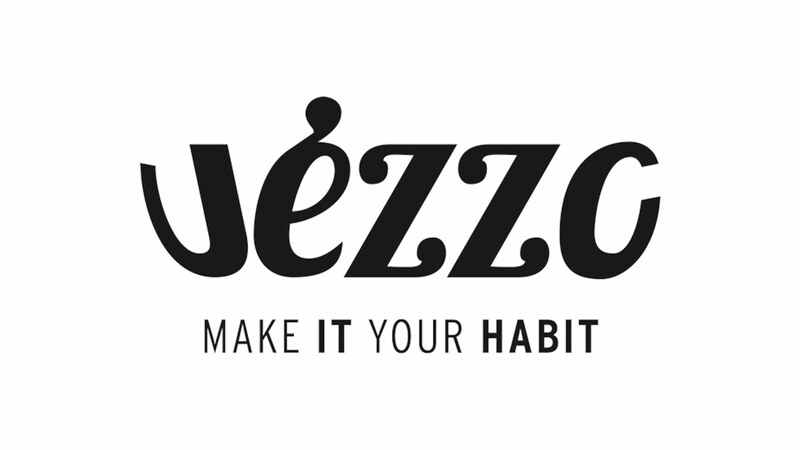 “Make it your habit” the kind invite that accompanies the name Vèzzo, and the object itself, have been created to endorse that small gesture that, distractedly, we often repeat during the day. The beard ring has no side effects, not even in case of constant administration. Gently running your hand on your beard and moustaches with Vézzo, in order to caress them with a meditating and relaxing gesture, but also to help yourself get concentrated. In the modern etiquette, the beardy gentleman combs his beard also when he is not at home, with a discreet gesture of meditation. Here is the idea: Gently running your hand on your beard and moustaches with Vézzo, in order to caress them with a meditating and relaxing gesture, but also to help yourself get concentrated. It is made of meditation and a metal alloy with silver galvanic bath or painted with powder. Certified Nickel-free. Buy Vézzo in the size that fits you or ask for it as a present; turn it around to use it as beard ring, or beard comb; show off.